Small businesses have it a little easier when it comes to their social strategy. There are how-to guides on small business tactics for big business results, and in many instances, small businesses are on social media representing a siloed organization. But as an enterprise-class business, your social media strategy gets more complicated. Not only are you coordinating the social strategies of multiple departments and possibly several countries, you want it to accurately represent your brand and reach your target audience. So how can you guarantee that you maximize your social media presence and marketing potential? Your employee population is a major benefit to your enterprise social media strategy. They’re your most valuable asset, offering a reach and influence that can’t be found anywhere else. When you have employees on social media acting as a beacon for your brand, this is employee advocacy, and a little can go a long way. With an employee advocacy program, your marketing department can recommend social actions it wants people across the company to carry out. Often times, employee advocates already exist; they’re the ones mentioning your company in social posts. On the other hand, there tends to be an army of employees that often want to share company related items but have no idea what to say, or if it’s okay to say it. That’s where an employee advocacy program can help boost your enterprise social media strategy. It allows you to recommend to employees what to say and how to say it. This increases reach and creates a word of mouth affect with employees, all while giving them the confidence to pull off the proverbial training wheels to advocate on behalf of the brand by themselves. Incorporating an enterprise social media strategy helps to stay on brand and creates a consistent voice, all while promoting your initiatives. Let’s dive into what this looks like. As a large organization, you may or may not already have a large social media presence. A well-developed employee advocacy program can help your enterprise social media strategy in both scenarios. Say you are a large company without a strong corporate social media presence, but you have an army of employees who are willing to promote your brand. Tap into that network! When employees share company messages, they have a 561% further reach than the same messages shared by brand accounts, according to the Marketing Advisory Network. But what’s even more important than the reach of your employees is the influence they offer. This is something you should want to incorporate into your enterprise social media strategy whether you have a large following or not. People trust other people more than they trust brands and even company executives. When a company or an executive posts something promoting their brand, it looks the same as an advertisement. But when an employee posts on behalf of the brand, it looks more like a recommendation. Employee advocacy gives a level of trust a brand cannot, increasing engagement and highlighting your brand message. Employees simply have something your company doesn’t: influence at the most granular level of word of mouth. Through your employees’ following and their influence, you can spread the word on specific things you’d like to promote. For example, say your company recently won an award for being the best place to work, and your brand account shares this news. Some folks might suggest it looks like you’re patting yourself on the back. But, if your employees post this news, it looks like they’re proud of their company and happy that they get to work at such a great place. This is much more impactful to your outside audience. That same impactful messaging could be utilized for any award or recognition your company receives, such as placement on a Gartner Magic Quadrant, or any events your company holds. Another example is if your company donates to a charity or if you want to show off your company culture. The message is received much more positively if your employees are the ones who spread the word rather than your brand account. People who follow your employees are their friends, family, former colleagues, and others from their work or volunteer network. They already trust and respect them as a person, and their posts are considered sincere and not strictly promotional. 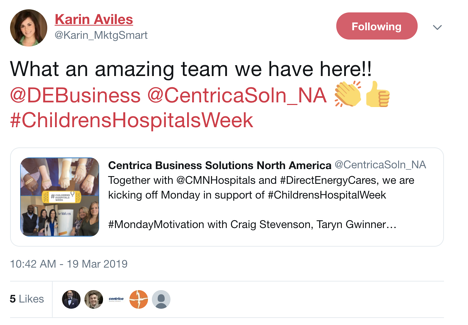 When it comes to your enterprise social media presence, it’s incredibly powerful to have a large number of people in line with your messaging at your disposal. By identifying specific people you want to work with or get the attention of, your employee advocacy tool can point out specific posts to engage with. For instance, say a reporter interviews someone at your company and posts their report on social media. You can direct employees to engage with that post. The reporter will notice their engagement numbers boost way up, and they’ll appreciate you for it and be more inclined to work with you in the future. This is exactly what GaggleAMP client Carbon Black did. The cybersecurity company has a working relationship with several media outlets including CNN. Reporters often times interview Carbon Black’s security experts for related stories. 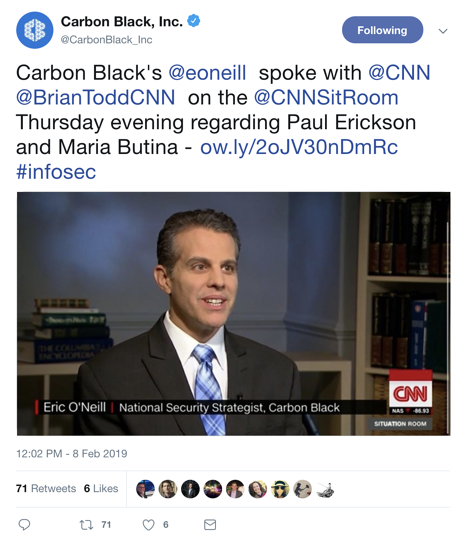 When the reporters share these interviews on social media, Carbon Black sends requests to its employees to promote and engage with the posts. Reporters clearly notice this and keep coming back with interview requests for security stories. You can catch the attention of industry analysts, too. If they say something positive about your brand, your advocates can retweet or share their post, and the analyst will definitely notice. This may entice them to learn more about your company or work with it in the future. 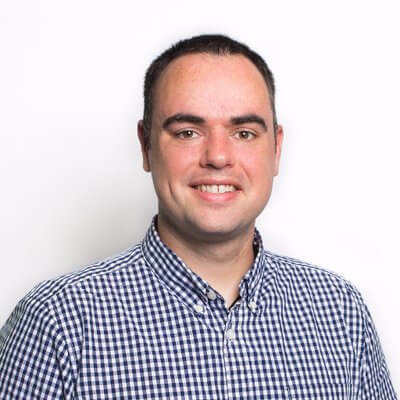 Regardless if you’re engaging a journalist, analyst, or influencer for your industry or brand, people notice their social media engagement numbers and appreciate whenever someone helps give them a boost. If you do this for people you want to connect with, they’ll want to return the favor. There are many ways employee advocacy can improve your enterprise social media presence. Take the time to see how employee advocacy works and the specific benefits it has for your brand.